Experience an authentic German day of delights with performances from local artists and the Wurstzipfel band whilst enjoying a large selection of craft beers and of course, German platters packed with imported goodies. 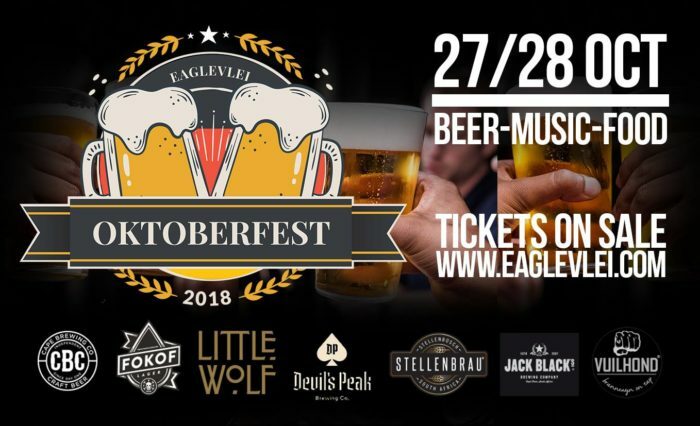 Eaglevlei Estate will play host to a day of German-style treats and eats as well as unforgettable live entertainment. Tickets from R120 include a glass and a 500ml draught with with the R220 ticket including a platter for one and R450 ticket including glasses, draughts and a platter for two. Platters on offer will include unique German cuisine like Leberwurst, Bratwurst, Fleischwurst, Pretzel, Pate’s, Cheese selection, Pickle Veg, Mustard, Curry Ketchup.